The recent introduction of automated toll payments at toll plazas across the country, which went live on 4 December 2015 ahead of the holiday season, has been a major success. “This is a major achievement and we are delighted that motorists have taken up this method of payment in such numbers,” said Vusi Mona, spokesperson for SANRAL (South African National Roads Agency). The payment method involves motorists paying their toll fees automatically through a registered tag in their vehicle. This means that they are able to pass through lanes that accept tags as well as other payment methods or through dedicated tag only lanes, the latter where they slow down for the tag to register but are not required to come to a stop. Since this payment option went live in December (with only the Mariannhill toll plaza having been activated earlier on 11 November 2015), the total tag transactions processed for the month numbered 825 518. 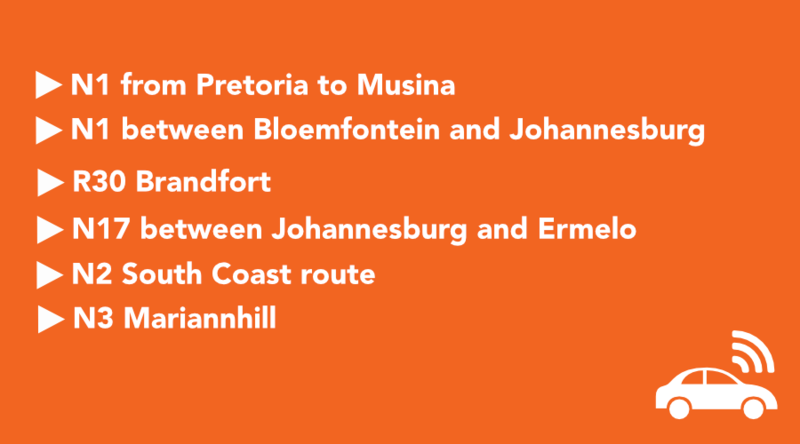 This figure equates to just over 10 percent of the total transactions for all SANRAL routes where automated payment was made available – with the N1 toll routes registering the highest tag volumes at over 13 percent. In addition, the N3 Toll Concession (N3TC) – the toll concessionaire for the N3 toll route from Heidelberg to Cedara – also switched on automated payment at their toll plazas. With the N3TC automated transactions added to the total, the December collections exceeded one million transactions. The N3TC’s tag transactions were around 13 percent of their total route transactions. Also interesting to note is that the introduction of the two special dedicated tag only Shesha Lanes at the Mariannhill toll plaza led to over half of all tagged light vehicles being processed in these lanes. Similar dedicated tag only lanes are in the process of being implemented at the other toll plazas. “This really speaks to the ease and convenience of this form of payment. Of course, those who prefer to do things manually still have the option of stopping at the toll gate and paying manually,” said Mona. About 40 percent of tag transactions at Mariannhill were for heavy vehicles, making it the toll plaza processing the highest percentage of tagged heavy vehicles across the SANRAL toll routes. Mona said South Africa was one of few countries around the world with a fully interoperable electronic toll collection system linked to central transaction clearing. The result was speedier traffic flow at toll plazas and increased convenience for motorists.